Frank Thompson, a former state penitentiary warden, has recently joined efforts to repeal the death penalty in Oregon. 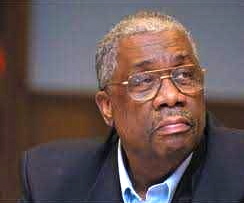 Thompson, who supervised the only two executions carried out in the state since capital punishment was reinstated in 1984, described the death penalty as a “failed public policy," and said that “capital punishment fails terribly in meeting any evidence-based outcomes.” Thompson, who recently joined the Advisory Council of Oregonians for Alternatives to the Death Penalty, said the state cannot afford the death penalty during these tough economic times when Oregon is threatening layoffs and cuts in public services. He estimated the cost of maintaining the state’s death penalty system as $9-20 million each year, and said he supports life without parole as an alternative to capital punishment. In November 2011, Governor John Kitzhaber declared a moratorium on all executions in the state, calling on legislators to bring potential death penalty reforms to the 2013 legislative session and to consider alternatives to the death penalty. Thompson remarked, "I think taking another look at capital punishment is very timely, and with the governor's decision it really moves it to the forefront." In a recent op-ed in Oregon's Statesman Journal, former Texas Governor Mark White (pictured) applauded Oregon Governor John Kitzhaber’s decision to grant a reprieve to death row inmate Gary Haugen and to halt all executions in the state. Governor White wrote, “I think Kitzhaber's decision is respectable and courageous. In Oregon, as in Texas, it is clearly within the constitutional authority of the governor to grant reprieves and commutations. With that authority comes the responsibility to ensure the state's laws are carried out fairly and within the state and federal constitutions. He concluded that Oregon's death penalty as a system was not passing that test.” Governor White also said that Governor Kitzhaber’s decision now allows time for the state to study the death penalty and address serious concerns about the system. Governor White concluded, “Such a decision should be welcomed by all who value justice, regardless of their personal beliefs about the death penalty.” Read full op-ed below. The Register Guard (Eugene, Oregon) praised Governor John Kitzhaber's recent announcement halting all executions, calling his conclusion that the "death penalty is morally wrong and unjustly administered" to be "right on both counts." In their editorial, the paper noted that the governor's actions are in line with other developments in the U.S. and internationally: "Kitzhaber’s announcement came as the tide is turning against the death penalty. Earlier this year, Illinois Gov. Patrick Quinn abolished it in a state that since 1977 had wrongly condemned at least 20 people to death. At least 16 states — and 133 countries — now reject the death penalty." The editors encouraged Oregonians to engage in a "great debate" on the death penalty and seek a solution that "reflects Oregon's values." See the full editorial below. In a statement released on Nov. 22, Governor John Kitzhaber of Oregon announced a halt to all executions in the state. "I am convinced we can find a better solution that keeps society safe, supports the victims of crime and their families and reflects Oregon values," he wrote. "I refuse to be a part of this compromised and inequitable system any longer; and I will not allow further executions while I am Governor." His action halts the upcoming execution of Gary Haugen, an inmate who waived his appeals and was scheduled to die on December 6. The governor further stated he acted, "Both because of my own deep personal convictions about capital punishment and also because in practice, Oregon has an expensive and unworkable system that fails to meet basic standards of justice." DPIC has updated its Executions Per Death Death Sentence page to reflect data through 2010. This page lists states in order of the percentage of death sentences resulting in an execution since the death penalty was reinstated in 1976. If every death sentence resulted in an execution, the state would be at 100%, or a rate of 1.00. Using this ratio of executions per death sentence, the first five states are Virginia (.725), Texas (.498), Utah (.368), Missouri (.347), and Delaware (.311). Of those states that have carried out at least one execution, the five states with the lowest rate of execution are Pennsylvania (.008), California (.015), Idaho (.025), Oregon (.028), and Tennessee (.035). Four states with the death penalty during this time period had no executions: Kansas, New Hampshire, New Jersey, and New York. The latter two have abandoned the death penalty. Nationally, about 15% of death sentences have resulted in an execution (a rate of .150). Another measure of state execution rates is executions per capita (population). Under this standard, Oklahoma and Texas are the leading states. Former Oregon Prison Superintendent: "Capital Punishment is a Failed Policy"
Semon Frank Thompson (pictured), a former superintendent at the Oregon State Penitentiary, oversaw both of the executions carried out under Oregon's death penalty statute. He now believes that "capital punishment is a failed policy." In an opinion piece for The New York Times, Thompson—who used to support the death penalty—explains how conducting executions changed his mind. Prior to serving as prison superintendent, Thompson had felt that "justice had been served" when a defendant who had been convicted of killing one of Thompson's law enforcement colleagues was executed. Shortly afterwards, when he was responsible for carrying out the executions of Douglas Franklin Wright and Harry Charles Moore, "the fact that I was now to be personally involved in their executions forced me into a deeper reckoning with my feelings about capital punishment." By the time the executions took place, Thompson says he had come to "believe that capital punishment was a dismal failure as a policy," but he participated because he was expected to do his job. He saw the toll the executions took on staff members who participated: "After each execution, I had staff members who decided they did not want to be asked to serve in that capacity again. Others quietly sought employment elsewhere. A few told me they were having trouble sleeping, and I worried they would develop post-traumatic stress disorder if they had to go through it another time.... The effects can lead to all the places you’d expect: drug use, alcohol abuse, depression and suicide." Thompson now supports Oregon's moratorium on executions and urges the nation to reconsider capital punishment altogether. He has concluded that "America should no longer accept the myth that capital punishment plays any constructive role in our criminal justice system. It will be hard to bring an end to the death penalty, but we will be a healthier society as a result." Read more about Former Oregon Prison Superintendent: "Capital Punishment is a Failed Policy"
In her first press conference since taking office on February 18, Oregon Governor Kate Brown said she will continue the moratorium on executions that former Governor John Kitzhaber imposed in 2011. "There needs to be a broader discussion about fixing the system," Brown said. "Until that discussion, I will be upholding the moratorium imposed by Gov. Kitzhaber." When the former governor announced the moratorium, he also called for a statewide discussion about capital punishment, saying, "I am calling on the legislature to bring potential reforms before the 2013 legislative session and encourage all Oregonians to engage in the long overdue debate that this important issue deserves. I am convinced we can find a better solution that keeps society safe, supports the victims of crime and their families and reflects Oregon values." Oregon has carried out only two executions since 1976, and none since 1997. There are currently 36 people on Oregon's death row.